Spending Christmas in the Stellenbosch winelands and surrounds? 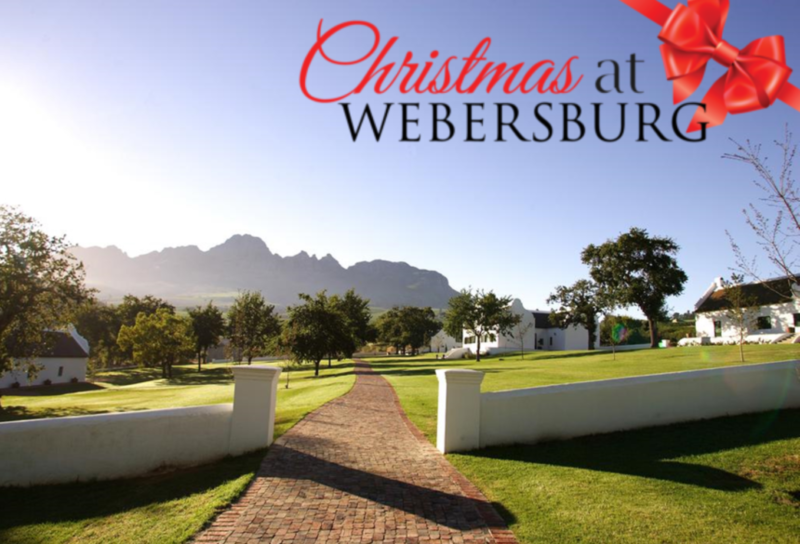 Webersburg Wine Estate, encapsulated by the idyllic Stellenbosch Mountains between Somerset West and Stellenbosch, welcomes you to enjoy our delicious special Christmas menu while soaking up the magnificent views of the Stellenbosch winelands. Families and friends alike are invited to join in on the Christmas festivities on Tuesday, 25 December 2018. Guests can expect an indulgent three course lunch at the hands of Executive Chef Nadia Roux, with dishes like Duck breast with mulled wine curd, baby salad and a pear macaron, Crispy pork belly with sweet potato mash, cherry and cinnamon jus, and Dark chocolate marquise, fresh berry salad and smoked vanilla ice cream among the options for the day. Check out our menu here. For those who wants to relax somewhere below a luscious tree and dine on a selection of treats, we recommend our special Christmas Picnic Basket! Prices and Menu to be released soon. Please contact us on (0)21 881 3636 or email info@webersburg.co.za to reserve your table or picnic basket!